ACC Distribution - Beddit for your better sleep! Sleep in human life takes about one third of the time and determines the state of health, beauty and well-being. Sleep should be of good quality so that you will always are able-bodied and fresh. Sleep quality depends on many factors, therefore it is important to know how we sleep. ACC Distribution offers you a perfect solution for better sleep – Beddit! Beddit device developed by a Finnish company monitors the quality of sleep and give advices on what to do that your rest at night is even better. When going to bed, the user does not need to wear any special bracelets or other cumbersome devices that prevent complete relaxation during sleep. You only have to lay a special, thin Beddit band and turn on the gadget in your phone. Beddit band feels the heartbeat of the sleeping person, his respiratory rate, rolling over on the other side and other movements he makes during the sleep. The unit records snoring, noise and room lighting, then all data are compared to environmental factors. All captured data are transferred to the phone via Bluetooth. The program evaluates the time when the user went to sleep, when he fell asleep, how many times he was rolling during the night, when he got up, did he snore, and other information gathered during the night. In the morning, a mobile application gives an accurate report on the quality of sleep last night, and advice on how it could be improved. Visit www.accdistribution.net and by Beddit! 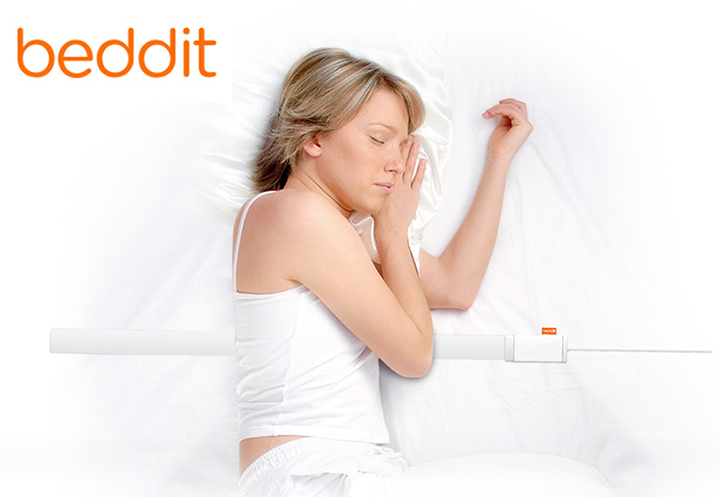 Only Beddit will help you to sleep like on a cloud!